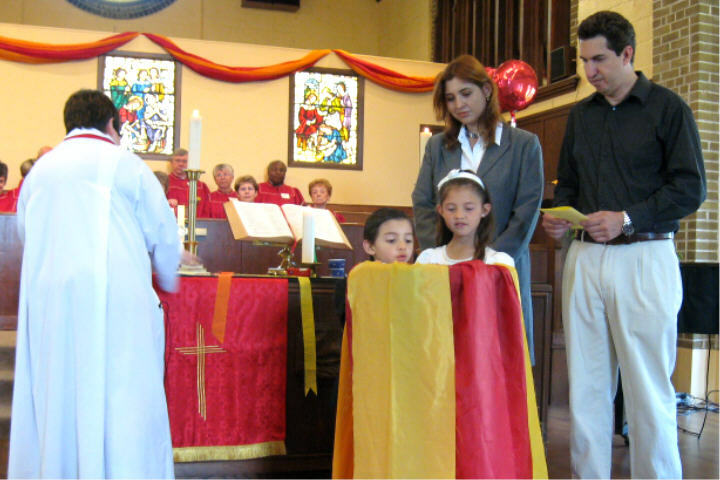 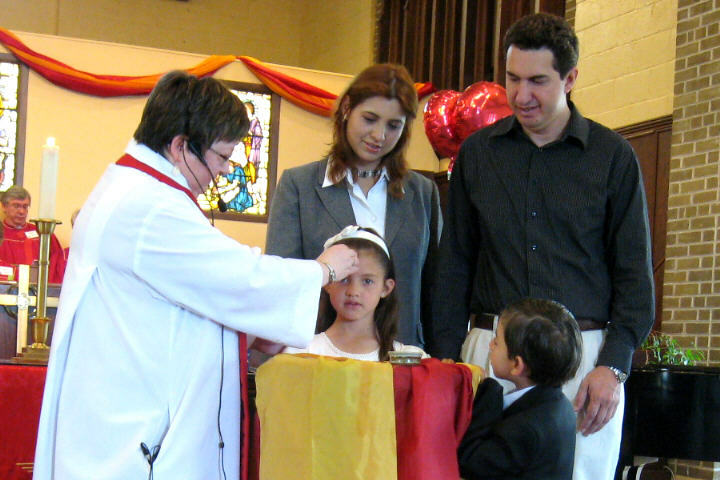 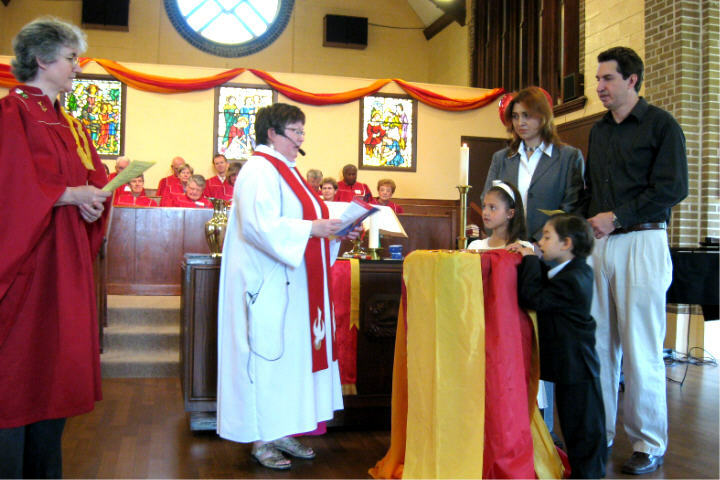 The Sunday service on May 23, 2010, included the baptism of Ana & Samuel Troncoso, children of Angela Rojas and Alberto Troncoso. 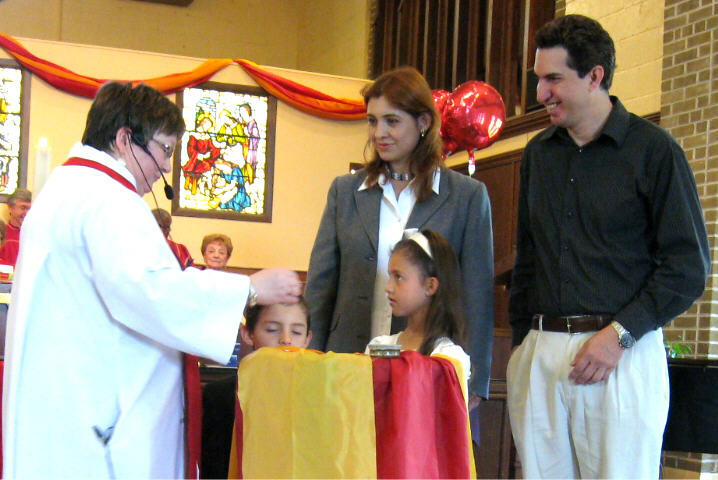 The coffee hour following the service included cakes for both children, much enjoyed by all. 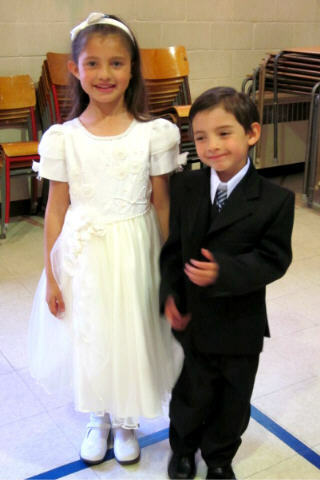 Angela & Alberto, ready to proceed. 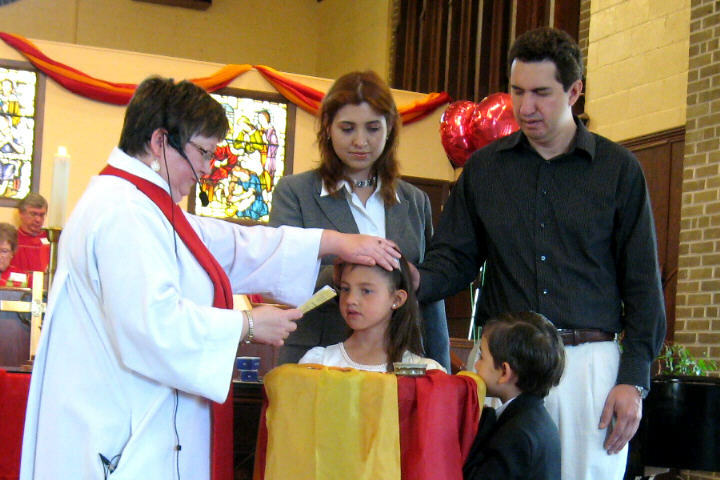 Samuel baptised, and laying-on of hands. 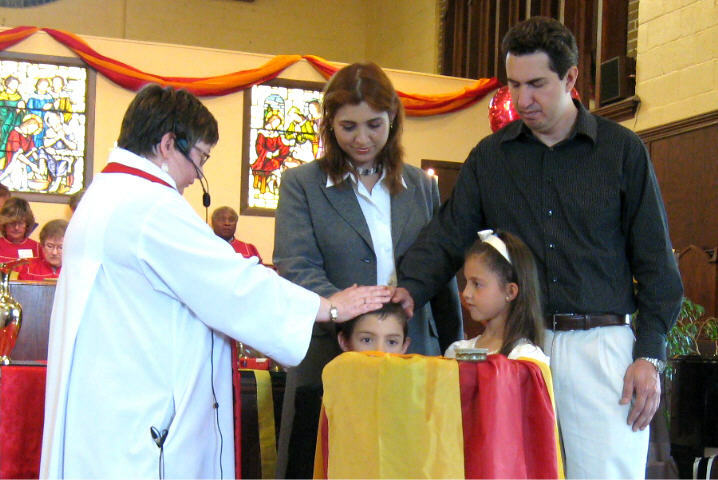 Ana baptised, and laying-on of hands. 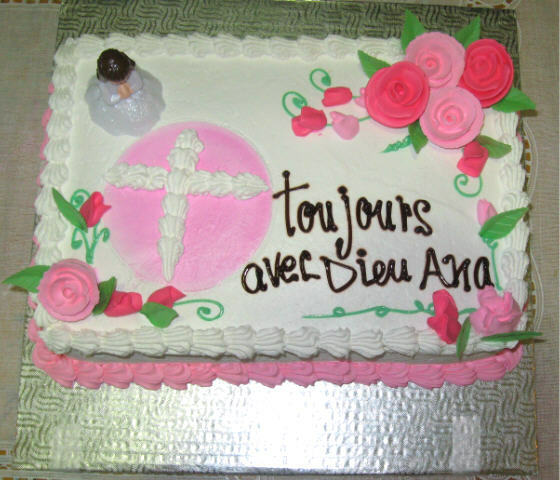 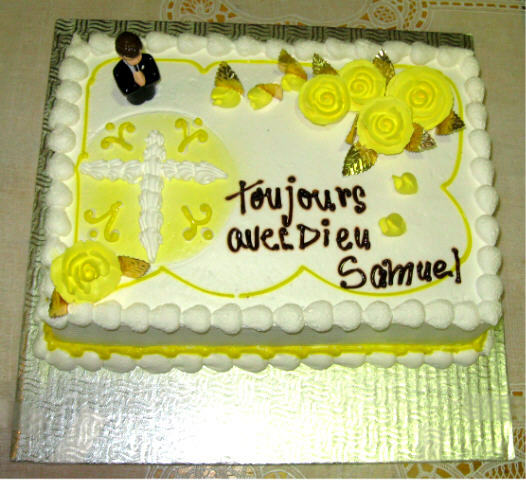 A cake for Samuel, and a cake for Ana. 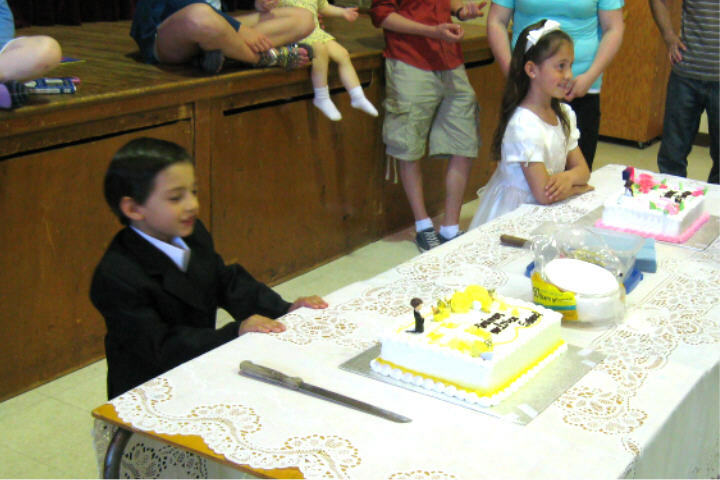 Samuel & Ana guard the cakes. 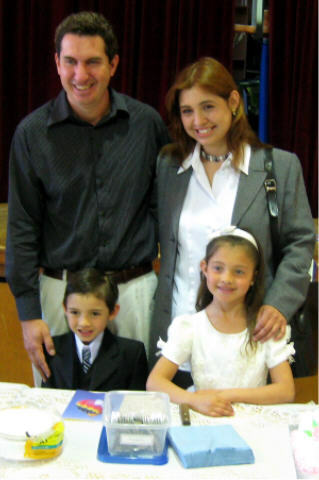 A photo with Mum & Dad. 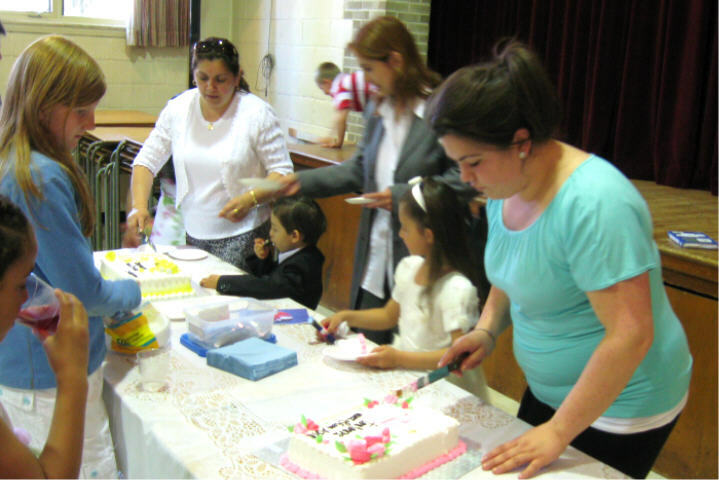 Michelle helps cut the cake. 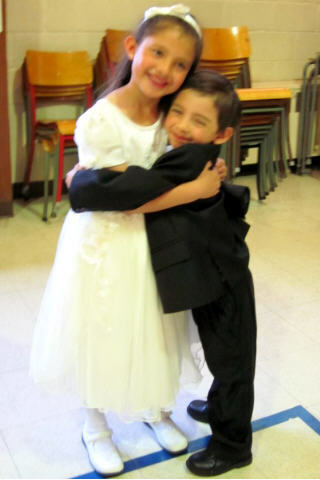 Sister & brother in glad rags.